San Pedro Town, Belize, is the heart and soul of Ambergris Caye, but not every traveler has weeks to explore its charming streets and beachfront boutiques. Need a little help putting together the perfect day in paradise? Let the local experts at the Grand Baymen guide you through the townÂs canÂt-miss experiences with this itinerary. 9 a.m.: San Pedro is a fantastic place to soak up the sun, so youÂll want to make the most of your day by starting early. Looking for one of the best breakfasts in town? Head to EstelÂs Dine by the Sea. The owners are friendly, the views are incredible and the banana pancakes are beyond heavenly. 10:30 a.m.: After a leisurely morning meal, spend a little time wandering through the townÂs three main streets: Barrier Reef Drive, Caribena Street and Pescador Drive. 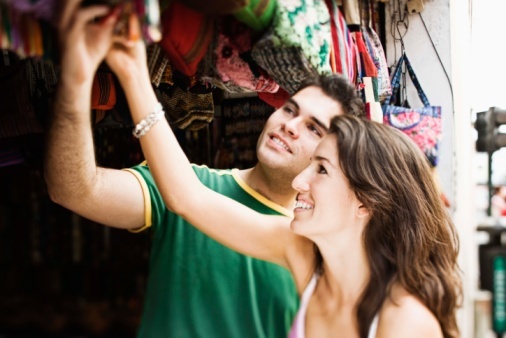 YouÂll find a variety of locally owned boutiques situated among the brightly colored buildings and coconut palms, and several of the stores specialize in products made by local artisans. Just make sure to bring your most comfortable shoes; though locals often use golf carts and bicycles to get around, youÂll fare best by walking. 12:30 p.m.: Stop by Licks Beachside Cafe for a quick snack, and then make your way to the Hol Chan Marine Reserve to dive and snorkel with an array of tropical fish. Do you prefer something a little more laid-back? Book a reservation at one of San Pedro TownÂs day spas, and you can unwind with a luxurious massage or facial. 3:30 p.m.: Of course, San Pedro is a beach destination, and youÂll want to spend a little time lounging on its Caribbean sands. Visit the beaches in the late afternoon to avoid the heaviest crowds. Who knows? You might even strike up a conversation with a friendly local who can give you the inside scoop on the San Pedro nightlife. 5 p.m.: Head back to your hotel to freshen up, and then venture back out for an iconic San Pedro dinner. Most of the best options are situated along Great Barrier Drive, and youÂll be able to choose from a variety of local hangouts, seafood shacks and intimate cafes. Wherever you end up, make sure to try some fish or lobster; no trip to San Pedro is complete without a taste of these just-caught delicacies. 7:30 p.m.: Bid farewell to paradise with a stroll along the beach, a warm-weather drink at a beachfront bar or a trip to one of the local festivals. Your perfect day in San Pedro Town, Belize, may be coming to a close, but the memories will last a lifetime.